CRUNCH was born from a single mom in her apartment, a fortune cookie recipe, and a creative, ambitious mind. 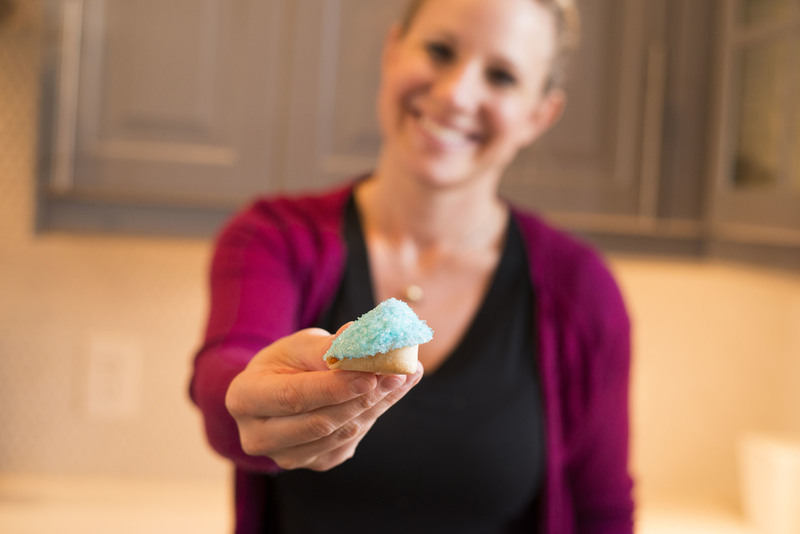 Founder, Jennifer West, began making fortune cookies as gifts for friends and family. Her talent was in the various flavors and witty fortunes. I was born and raised in Dallas, TX. Out of high school, I received my Bachelor's degree in Art, hence became a bartender, decided I needed a job with health insurance, went to nursing school, became a nurse, still do that to fund my love of this company. So, why fortune cookies, you say? I've always been a huge fan of the fortune cookie! There's just something about a little crunchy cookie with a secret message inside that is so intriguing! I mean, who doesn't love a fortune cookie? So, one day I found a fortune cookie recipe by chance and thought, heck, why not, that looks fun! And, it was!